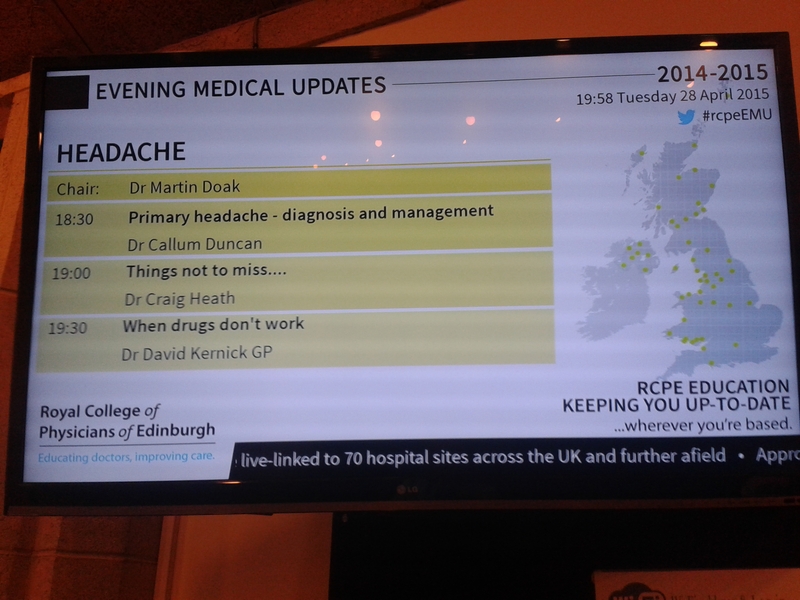 Another great evening at the Royal College of Physicians of Edinburgh , this eveings medical update is headaches ! “1st , worst headache , increasing pain in sec/mins lasting under an hr , possibly more than the usual headache …. Wow , what a week . Touching, feeling human cadavers, getting to the absolute core of human anatomy all thanks to 3 inspiring teachers , Proffessor G S Findlater , Dr Hugh Montgomery and Dr F Kristmundsdottir. 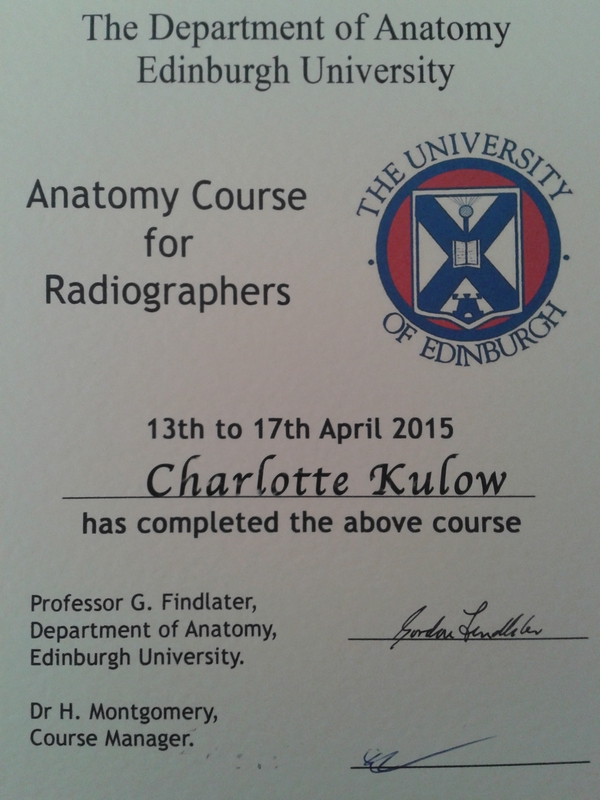 I learnt so much, re evaluated my understanding of the human body. Human dissections are rare and only the privileged few get to be a part of learning in this way. Thank you to you to all that donate their body’s to human sciences. One person has a ripple effect in helping thousands of others . Masters in Human Anatomy staring in september , now that really would be something, maybe this week was just the start of something new ! Do I use ….”ice or heat” …I am referring to pain rather than the weather outside ! The decision is usually made on two factors: time after injury, and reason for use. Acute injuries are usually treated with ICE – this is in the first couple of days – this does the following. Do not apply for longer than 15mins and always protect your skin. This can be used hourly. Chronic injuries are usually treated with HEAT. This is when an injury is a few weeks old and beyond. Inflammation should be under control by now, and pain has more to do with the nervous system, muscles (tightness, ‘trigger points’), and a lack of mobility. Heat can help with each of these things. Apply for 15-20mins and always protect your skin. Almost never heat something that is swollen and hot… ask a professional first, it could be chronic inflammation or an infection. Still abit confused! Not sure whether your injury is in the acute or chronic phase? Try alternating between 5 minutes of ice and 5 minutes of heat 3-5 times. Try to always start and finish using the ice. If you are not sure please contact your doctor or your osteopath who will be happy to advise.